Join Ralph Honda and help support the Greece Ecumenical Food Shelf!! Any customer who gives a food or monetary donation from June 1st – June 18th, 2016 will receive a $5.00 off coupon for service! Monetary donations are used to provide: milk, bread, eggs, margarine and fresh meat! Check Out Them on Facebook! *5 door, HB, CVT. MSRP: $17,425. Model Code: GK5H5GEW. 36 month closed end lease. $2495 trade or cash down. First payment $595 acq. fee taxes & DMV fees due at signing. 12000 miles/year. $0.15 overage. To qualified buyers through AHFC. Offer valid through 7/5/16. When it comes to routine maintenance, changing you oil is one of the more inexpensive services. Despite its relatively low cost, oil pays a vital, multifaceted role in your engine, and spending a little money on routine oil changes can help prevent you from forking over large sums of cash down the road. Engine oil provides three key functions in a modern internal combustion engine. First of all, it helps keep engine components working smoothly together. Secondly, the inside of an engine, a place where there are thousands of controlled detonations happening ever minute, can be a hot place, and oil helps draw heat away from the combustion chamber. Lastly, it helps prevent carbon and varnishes from accumulating in the engine. There are many types of engine oil, but it’s fairly easy to determine what kind you should use in your car. Your owner’s manual should tell you the appropriate viscosity of oil – like 5W-30, for instance – that your engine requires, and the viscosity may also be stamped on the oil reservoir cap on the engine itself. Viscosity is the measure of how much resistance a fluid has to flowing. Many would refer to it as the “thickness” of fluid; honey has more viscosity than water, for example. There’s more to oil, though, than just viscosity. The American Petroleum Institute certifies oil based on performance criteria determined by automakers, engine builders and oil producers. Oils that meet the standards receive the API Certification Mark, which should be easy to see on an oil container. 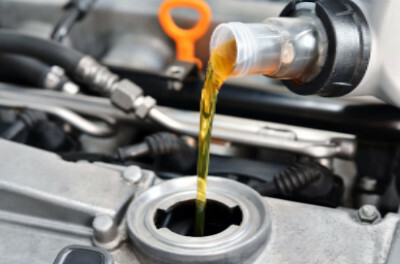 Oil changes are often recommended when a certain mileage or time limit is reached. The most familiar interval Is 3,000 miles or three months, but what’s more important – the mileage or the time? Experts says trust the odometer, not the calendar. Driving has far more of an impact on your engine oil; if a car is sitting, there is less need to replace the engine oil. Oil-change intervals used to be much more frequent than they are today. Around 50 years ago, you would have had to change your oil every 500 miles. It can get worse. The pistons could eventually seize or the camshafts could be damaged. Getting a bill for either one of these repairs would make even few high-quality oil changes look like pocket change. 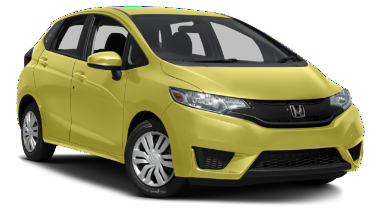 Consider regular oil changes to be like really cheap insurance for your engine. Congrats to Jessica & Nick (Technician) for the birth of their first child! 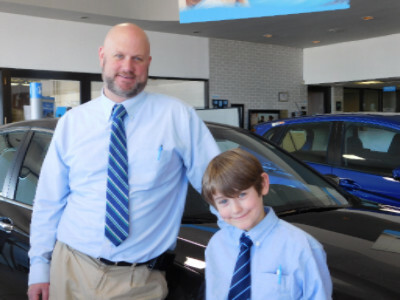 My son Luke​, who is 10, wanted to see what I do at work so he shadowed me for the day. I explained to him all the different steps that go into selling cars and all the different jobs that are in a dealership. He had a tour of the dealership and saw the new expansion in progress. He is a sharp young man. This recipe is compliments of our Assistant Business Manager Tom Martin and his wife Anne. Thank you for sending this delicious recipe in to us! 1. Combine garlic powder, pepper, Italian bread crumbs and Parmesan cheese. 2. 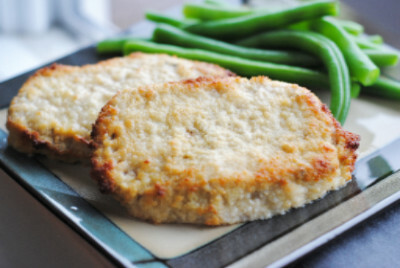 Rub pork chops with olive oil and then dip in cheese mixture until they are well covered. 3. Line pan with tin foil and spray with cooking spray.